If you look closely at the picture above you will see a wire dipole hanging from the tower. 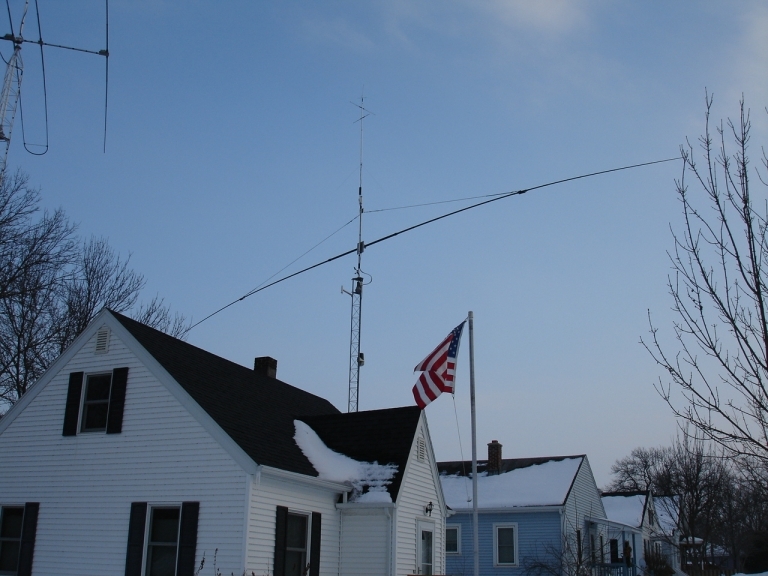 It's a Spi-Ro LS-80K limited space 80-meter wire dipole. 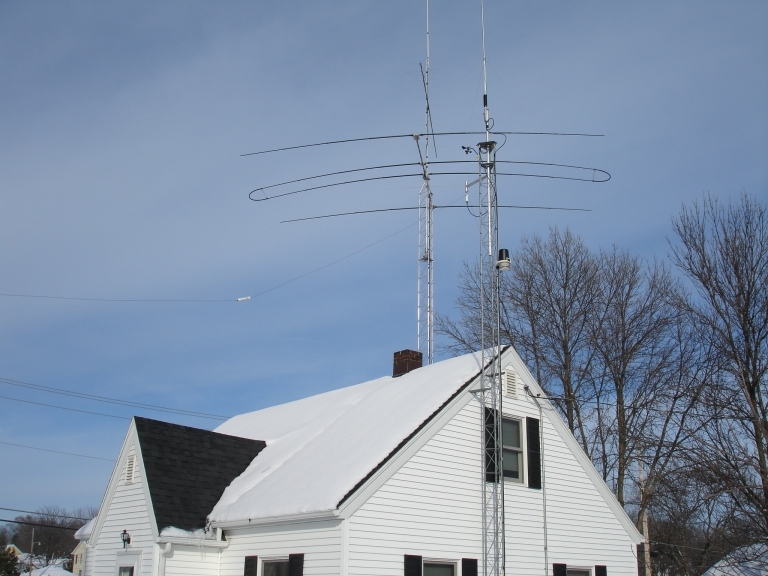 Because I live on a small city lot and the trees are not in perfect locations I asked myself how I could get this antenna higher? This is what I came up with. This is a 10 foot piece of 2" fiberglass piping with a 1/4" wall thickness. It's all mounted to a 12" x 15" x 1/4 aluminum mast plate. 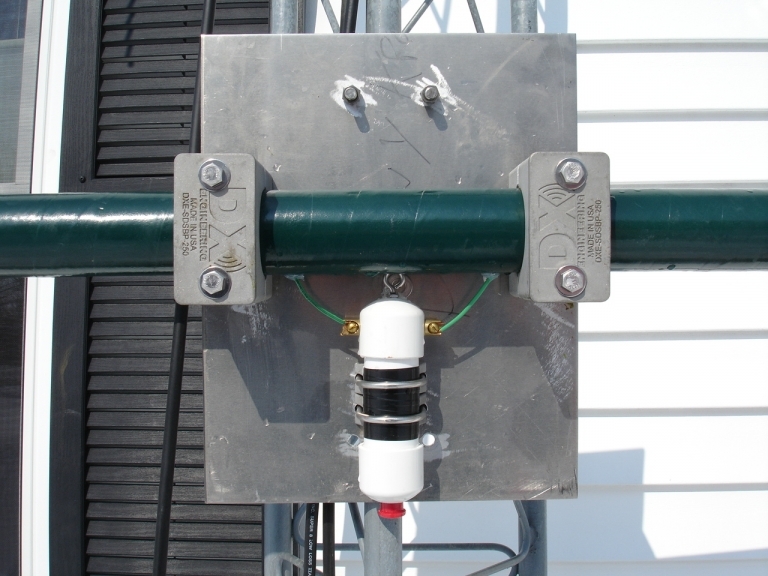 Also mounted to the mast plate is the Spi-Ro PB-1C balun. This is a 6" x 6" x 1/4" aluminum truss plate. I used 5/16" double braid Dacron/Polyester rope for the truss supports. 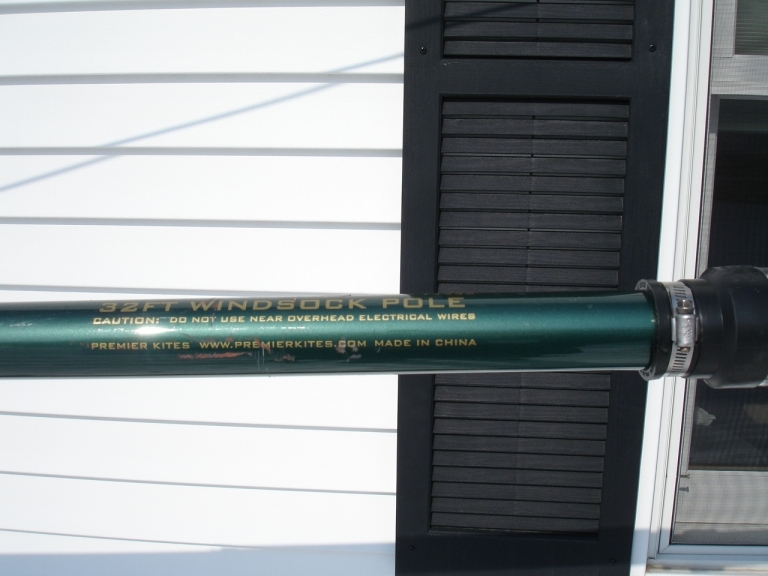 Mounted on each end of the 10 foot fiberglass pipe is a 32-foot fiberglass windsock pole. The wire from each leg of the dipole is inside the windsock poles. 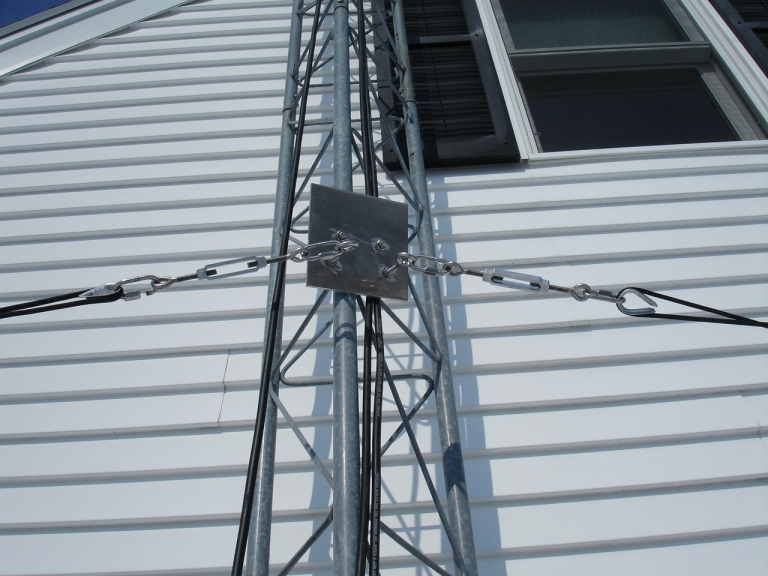 This is the Spi-Ro LC-80 antenna shortener. 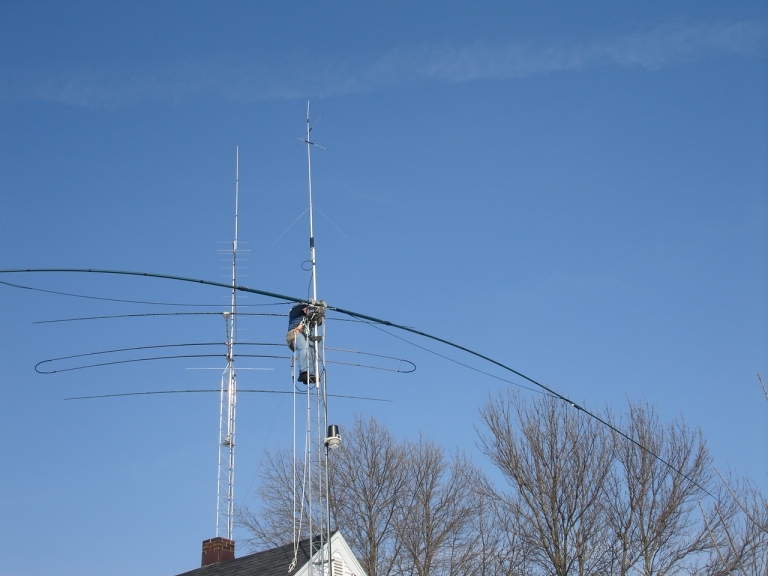 It reduces the overall length of the antenna by 40%. 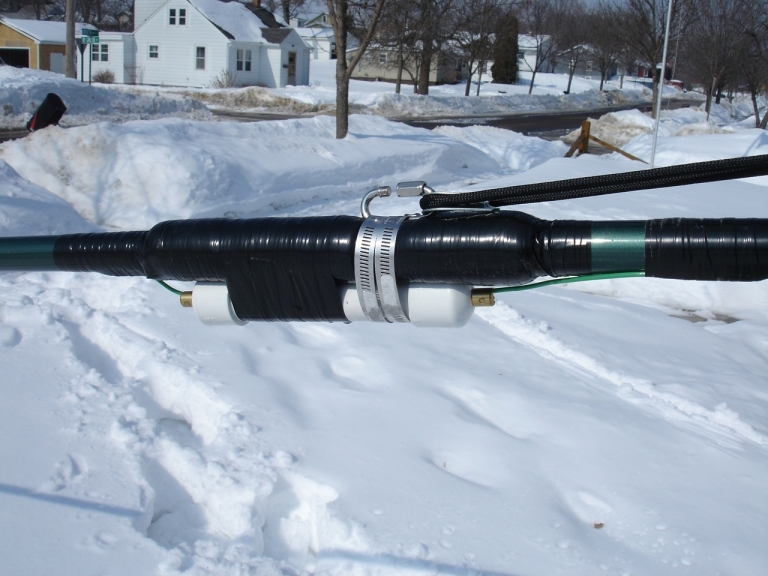 I had to wrap the fiberglass pole with pipe insulation and then tape over it because when I went to tighten the clamps it sounded like I was crushing the pole. The insulation gave it a little cushion. This is also where I decided to attach the truss rope. I may have to come up with a better design for this in the future. This is me attaching this sagging wet noodle to the mast pipe. From end to end it is about 70 feet long. 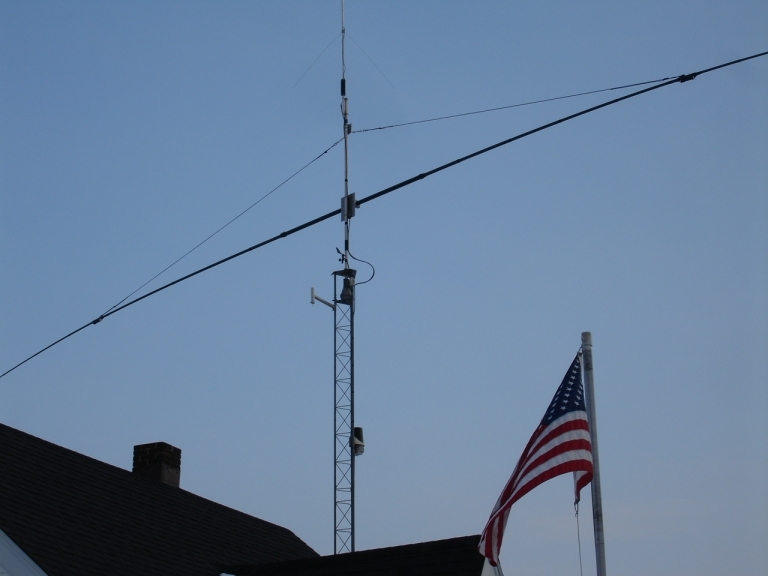 A special thanks to Rich KB9RNO who helped me test and install the antenna. Another big thanks to Jeremy Southworth who stayed up until midnight to help me assemble it.